Etymology: Latin, Indus “India”, and Greek sauros, lizard, Indian lizard. 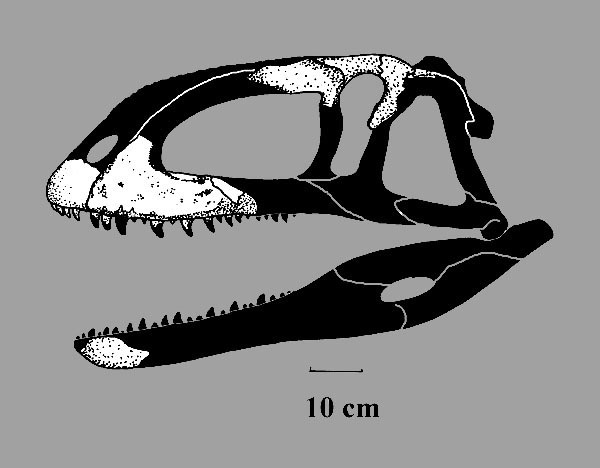 Locality: Carnosaur bed, west slope of Bara Simla Hill, Jubbulpure, Madhya Pradesh State, India. Age: Middle-Late Maastrichtian Stage, Upper Senonian Subepoch, Upper Gulf Epoch, Late Cretaceous. Material: Braincase including most of frontals. Locality: Raiholi Site, Gujarat State, India. Number: Not given: Fragmentary skull and skeleton. Note: May or may not belong to this genus.